Microsoft recently surveyed a number of Internet users on online privacy. 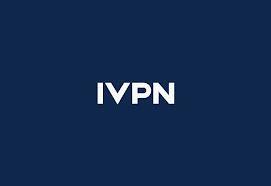 top VPN provider iVPN here shares the surprising results. Even after the news of international user data spying, Internet users are not taking steps to secure their online lives. They care about online privacy but are divided as to where the responsibility for securing it lies. Many consumers believe that companies need to take better care of consumer data. But only 30% of the respondents in Europe and the United States said that they thought companies were responsible for data security. And only 27% believed that their governments were accountable. The survey was of course not limited to issues of company data mining and government spying. But it is still surprising that people are not putting more pressure on these two entities. Respondents did say that they want companies to better secure their data. But they are apparently not very interested in regaining control over it. This is a very dangerous attitude because many companies have not proven themselves worthy of this level of trust. Many Internet users are still not taking steps to secure their online privacy. Yet they seem to believe that they do need to play a part. 43% of the respondents thought that they should be taking an active role. But only 22% of the respondents said that they carefully read privacy policies. It is very surprising that more of them are not using tools like iVPN to help them conveniently keep data and activities away from prying eyes. The technology to protect user data is here, but clearly all three parties must cooperate to make it a reality.